Reality TV is a guilty pleasure for many of us. From the drama of Love Island breakups and Made in Chelsea gossip, to the kitchen meltdowns in The Great British Bake Off and The Big Family Cooking Showdown, Brits (and beyond) are tuning in regularly to shows that feature real people, in real life (if ridiculous) scenarios. Media companies realised the profit potential of this format years ago: addictive entertainment combined with minimal production costs. 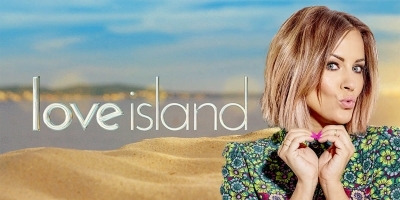 ITV, for example, is set to make millions selling the Love Island franchise overseas, while Channel 4 reportedly paid around £25 million a year for the rights to The Great British Bake Off. Retail brands have always seen the value in product placement and investment in advertising during the breaks. However, the rise of second screening is creating new opportunities for retail marketers to connect with consumers, targeting them when purchase intent may be higher. Savvy retail brands have jumped to fill the advertising slots of this year’s smash reality hits, and capitalised on the more popular reality stars’ social media following. For example, clothing retailer Missguided has just started selling ‘Love Island’ catchphrase t-shirts, and contestant Montana Brown recently scored a lucrative deal as a UK brand ambassador for Pretty Little Things. This is definitely a step in the smart direction, but there is still a significant, and largely untapped, opportunity for retailers when it comes to reality TV. A report from Google reveals that three quarters of British people use a connected device while watching TV, and for under 25s, this figure rises to a massive 93%. This represents a real opportunity for retail marketers to drive customer engagement and increase ROI during airtime. At mporium, we refer to these opportunities as ‘micro moments.’ These are the ‘I want to know’ and, more importantly, the ‘I want to buy’ moments that are triggered when watching television, prompting viewers to search and buy products on their smartphone or tablet, which is likely laying on the couch next to them, if not in their hand. Whether it’s the dress worn on a Love Island date or ingredients for the mango posset whipped up on the Big Family Cooking Showdown, customers today want an increasingly short shopping journey. This means that they want the products on their TV at their door within 24 hours. Amazon and Tesco are quickly adapting, ramping up their same-day delivery services to meet this increasing demand for instant gratification. While this might seem like a lot of pressure on retailers, it’s actually an exciting opportunity and, by using the right technology, they too can drive conversions before the end credits roll. By optimising paid search campaigns, retailers can ensure that they are front of mind and top of the search results at the right time. This means that when searches for icing, golden syrup and mini rolls spiked during the premiere of this season’s The Great British Bake Off, supermarkets and relevant retailers could ramp up their campaigns to ensure they are taking advantage of increased interest. For anyone wanting proof that curiosity during these ‘micro moments’ can significantly impact buyer behaviour, just take a look at Tesco, which reported an 80 per cent spike in samphire sales after the ingredient was featured on cooking shows Sunday Brunch and Saturday Kitchen. Optimising search campaigns for these ‘micro moments’ allows brands to monetise the opportunity, driving conversions through reaching customers at the right time, as their interests peak around specific products. Retailers should be looking at new, cost-effective ways to make the most of second screening habits and the hyper engaged audiences of reality TV. The real opportunities of reality TV for retailers are significant for those that are keen to take advantage of changing viewing habits and new technology innovations, and the format shows no signs of going anywhere soon.